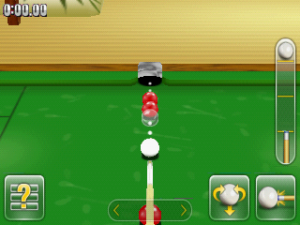 3-D Ultra Cool Pool is a 3D pool game. 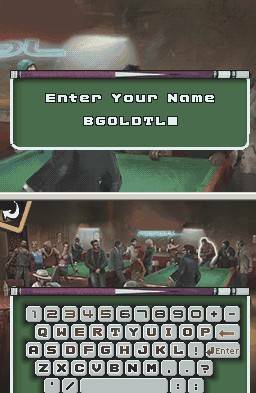 It offers various game modes including billiards, eight ball, nine ball, cut throat and rotation. 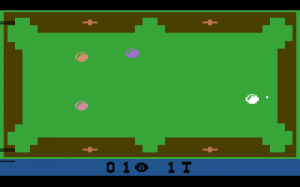 The player can choose from three different difficulty levels none of which will challenge the real pro Pool players. 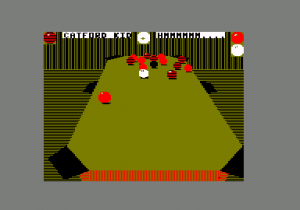 Extra game options include poker, where each ball represents a card, Chameleon where balls change colour and a variety of differently shaped tables (triangular, circular, T-shaped).